Home / Team / George Denegre Jr.
"The common thread in my practice is my ability to cut to the chase and concentrate on what's important to the court in a case, regardless of the size, type or complexity of the matter." 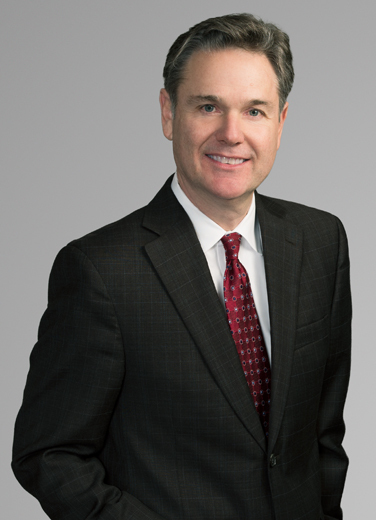 In addition to litigating in state and federal courts, George has significant experience in alternative dispute resolution, both in arbitration and mediation, and he has previously served as a securities arbitrator. Additionally, he frequently represents automobile and truck manufacturers before the Louisiana Motor Vehicle Commission. With other attorneys, secured a $33 million settlement on behalf of the FDIC in a major director and officer case arising out of the failure of Westernbank Puerto Rico. FDIC v. Stipes (D.P.R. 2015). Prosecuted a financial institution bond case for the FDIC arising out of the failure of Westernbank Puerto Rico. W Holding v. Chartis (D.P.R. 2012). Led the defense of insurance agents in myriad claims arising out of the sale of an employee welfare benefit plan. See Boes Iron Works, LLC v. Galatas, 974 So. 2d 713 (La. App. 5th Cir. 2007). Part of team that secured denial of class certification to service station owners allegedly impacted by tainted gasoline. MP Vista, Inc. v. Motiva Enters., 2012 U.S. Dist. LEXIS 134607, (E.D.La. 9/20/12). Part of the appellate team that secured reversal, in part, by the Louisiana Supreme Court, of a multi-million dollar jury verdict against an oil and gas operator for land contamination, breach of contract, tort, misrepresentation, and wanton and reckless conduct. Marin v. Exxon Mobil Corp., 2009-2368 (La. 10/19/2010), 48 So. 3d 234. (2010). Led appellee team in a case resulting in an important decision by the Louisiana Supreme Court on the re-perfection of creditor’s security interest under the Louisiana Commercial Code. First Nat’l Bank v. Pearl River Fabricators, Inc., 971 So. 2d 302 (La. 2008). Was trial counsel for a major energy producer in a U.S. Department of Interior administrative hearing that resulted in the reversal of over one million dollars in penalties imposed by the Office of Natural Resources and Revenue arising out of two federal royalty audits (2017). With other attorneys, secured a large judgment on behalf of McLane Southern Inc. in a Louisiana state tax matter. McLane Southern Inc. v. Department of Revenue (La. App. 1st Cir. 2013). Represented a hospital in a multi-million dollar dispute with its tenants’ insurer on a complex subrogation claim. Lifecare Hosps. of New Orleans, LLC v. Lifemark Hosps. of Louisiana, Inc., 984 So. 2d 894 (La. App. 5 Cir. 2008). With other attorneys, secured a federal court ruling striking down Louisiana’s “violent video game” statute as violative of the First Amendment of the U.S. Constitution and enjoining enforcement of the statute. See Entertainment Software Association v. Foti, et al., 451 F. Supp. 2d 823 (M.D. La. 2006). Defended a local news publication in a trade name and trademark lawsuit.